What’s the outlook for Investment Banking in 2014 and beyond? Well, according to a new report published by Oliver Wyman and Morgan Stanley, banks need to act fast and re-allocate capital and resources to optimise where they have real advantage, and focus regionally and domestically. 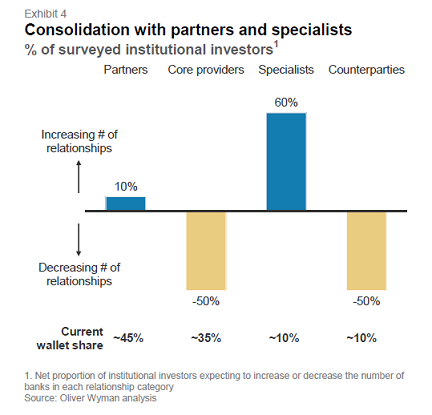 The report which includes results of client surveys suggests clients plan to ‘polarize’ their spend on partner banks and specialists in areas such as servicing multi-asset, whilst squeezing the rest. 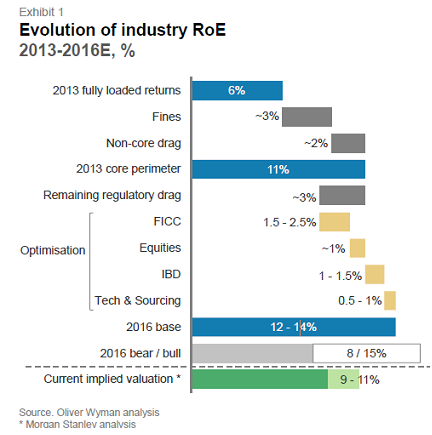 The corporate franchise should be a key growth driver, but returns are resolutely low so far. 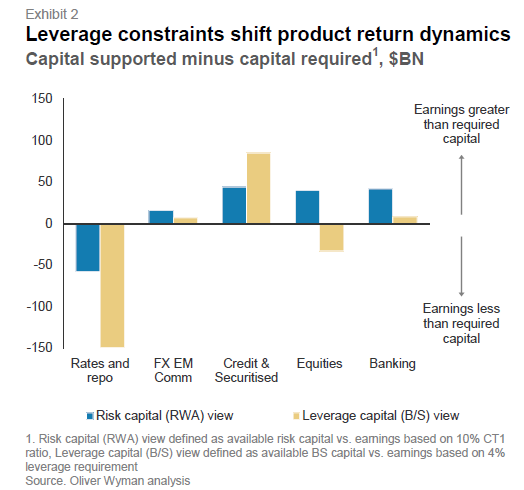 Banks need to grasp the benefits of market structure change, cut capacity further and re-allocate capital faster, primarily from the structurally shrinking Rates business towards new forms of credit provision. US and some EM banks have advantages. Clients value global capabilities – in content and in execution – but they do not need it from every bank. More banks will look to pull back and focus on their core home regions.